Our heads were still spinning from last night’s sights in Las Vegas! Wow, how do we beat that? Well, after breakfast (thanks Pete!) we visited Stephenie again, this time at work at the Moon Sun Koi and Cactus Garden (http://www.moon-sunlandscapes.com/Greenhouses.html). (S3229). A substantial part of her collection is grown in one of the greenhouses, so she and Eunice indulged in a bit more swap-shop activity while I looked in frustration at the cacti, some of which I would love to have taken home. The formal documentation to legally export the plants to England are complicated, expensive and time consuming so do not encourage those in the hobby to use them, making reluctant criminals out of those who ‘must’. 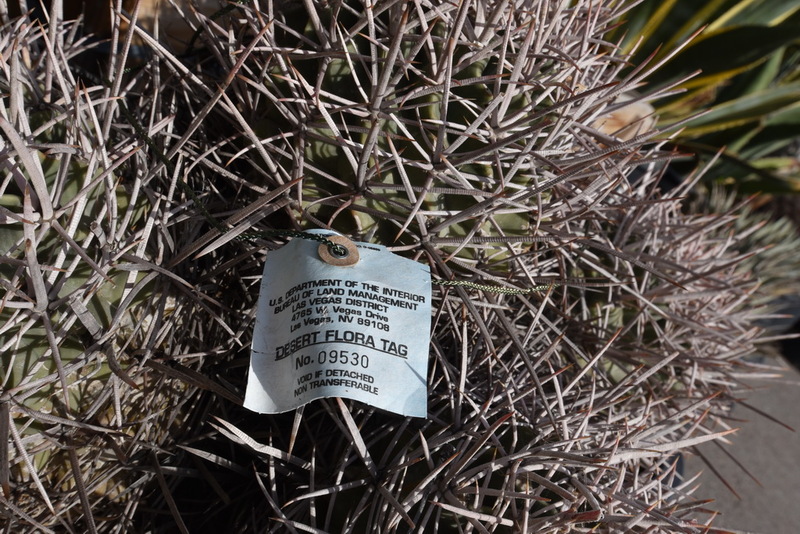 I would have loved to have taken a clump of Echinocactus polycephalus, complete with a tied on label to prove that it had been collected legally during a plant rescue from a development to create new homes. But in reality, these plants would be unlikely to thrive and survive in UK climatic conditions. Plants raised from seed in the UK would stand a better chance but are still often grafted to increase their chance of survival. Tagged Echinocactus polycephalus, a rescue plant from a housing development project. We drove to the Hoover Dam (S3230) for a bit of ‘normal tourist’ (if there is such a beast) sightseeing. The scenery, together with some very nice clouds of Lake Mead and the impressive bridge near the dam itself made some nice targets for my camera. There were also some nice cars in the car park, evidence that we are very close to Las Vegas and the money it attracts. 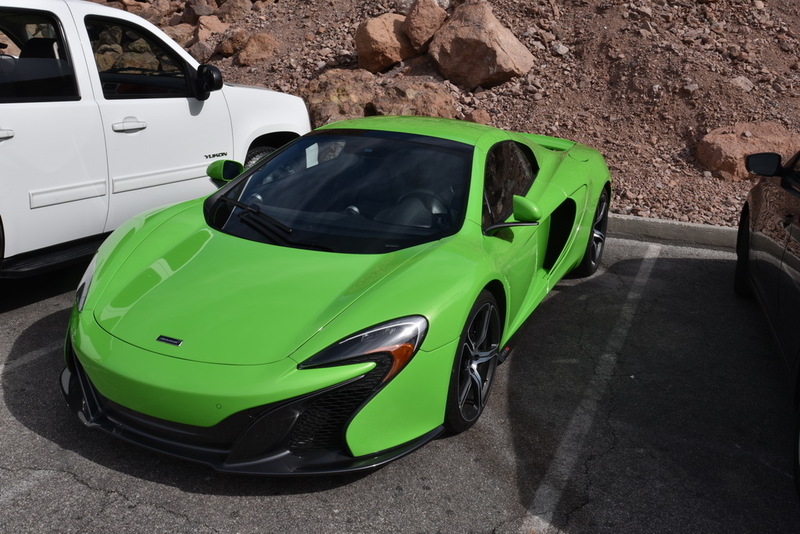 A McClaren in the desert – not a common sight! 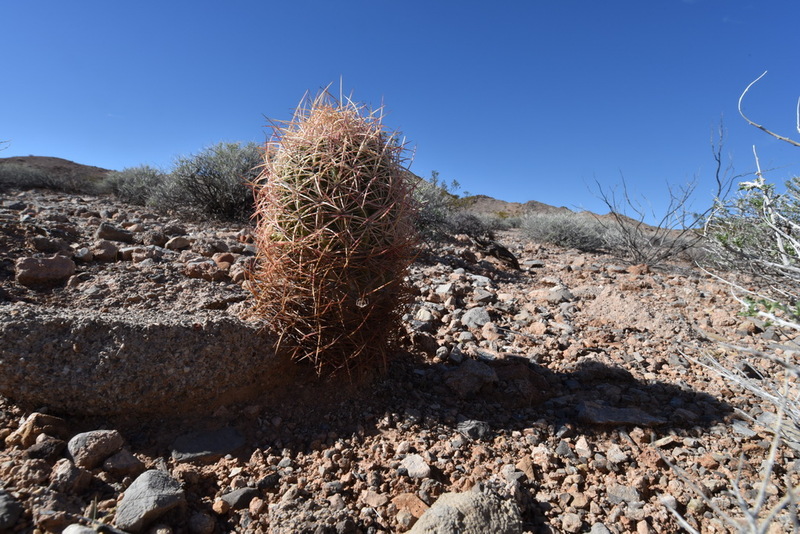 S3231, along the North Shore Road along Lake Mead, on the way to the Valley of Fire State Park, finally provided me with an opportunity to point the lens of some cacti in habitat, consisting of Opuntia basilaris, in bud, and a Cylindropuntia sp, Another stop along the road (S3232) provided that last night’s meeting as the Pygmy Barrel Cactus, Echinomastus johnsonii, but with a list of synonyms that this is a well travelled plant, at least taxonomically, having been placed in the genera Sclerocactus, Echinocactus, Thelocactus, Neolloydia and Pediocactus. No wonder that the locals prefer to use the common name, it avoids lots of arguments. Pygmy Barrel Cactus – you may select your preferred botanical name from the list above. 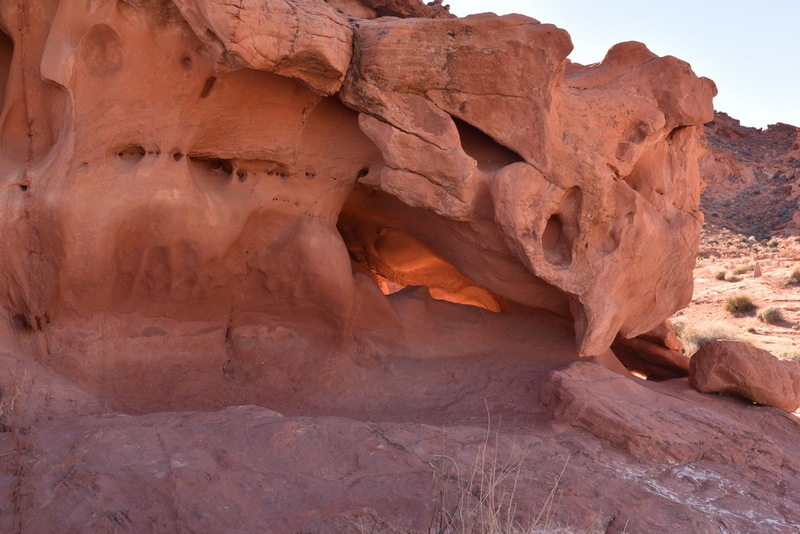 Last stop of the day was in the Valley of Fire State Park where the setting sun accentuated the red rocks even more. We caught the sun shining in to one side of a rock and out the other. This is my picture Eunice, I know that you’ve got one the same!